April 10, 2017 - The beautiful Beaux Arts building housing DC Water's Main Pumping Station, as seen from a balcony at F1rst. March 17, 2019 - The new DC Water Headquarters building, close to the finish line. March 17, 2019 - The east side of the building. Jan. 6, 2019 - A wide view, showing the new building's location along the Anacostia River. July 8, 2018 - DC Water's 1st Street SE operations, as seen from Nationals Park. 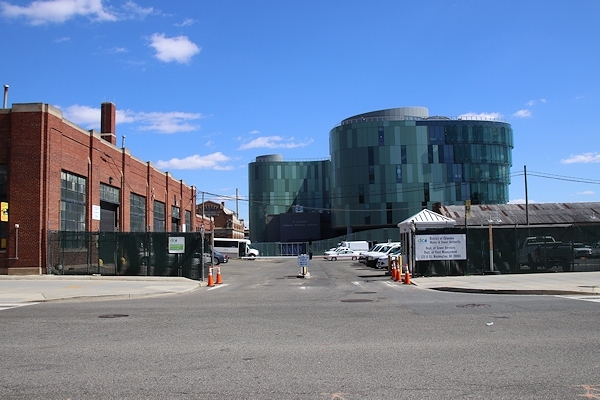 How the new HQ building has changed the view from 1st Street at O.
June 16, 2018 - Looking at the new HQ from the north, showing more clearly how the new building wraps around the existing O Street pumping station. April 14, 2018 - Old and new. 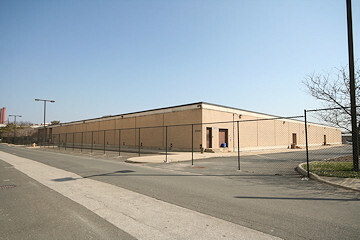 March 22, 2007 - Standing on N Street SE about one block north of the DC Water footprint, a few weeks before this Southeast Federal Center building was demolished. 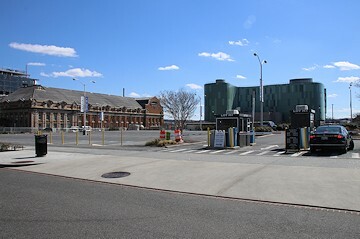 Dec. 3, 2011 - The eastern side of the Main Pumping Station, as seen from the Yards Park. July 19, 2016 - A 2016 rendering of the new HQ, looking eastward from above along the Anacostia Riverwalk Trail toward the Yards Park. Also visible in this rendering is the new extension of Potomac Avenue at lower right to a new 1 1/2 Street SE. The site plan, showing the undulating design of the new building that will be wrapped around the existing O Street pumping station. 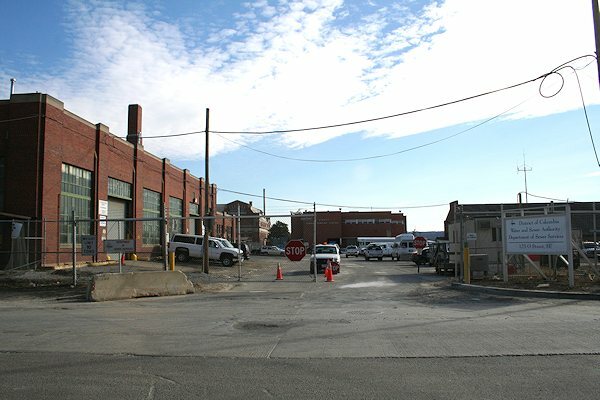 The three white boxes show where two residential buildings and a movie theater are under development by Forest City as part of the Yards. A wide view, from above the Anacostia River. A better view of the roof and how the new structure will be built around the existing O Street pumping station. A ground-level view from a pedestrian plaza that will be in the building's secure zone.